The recent Düsseldorf Boat Show has brought us the long-awaited Salona 60. Croatian shipyard AD Boats decided to enter the semi-custom yachts segment of the market and built a 60-footer yacht. It was created on the solid foundations of the experience in building high-quality yachts, combining high performances and the joy of sailing. Salona 60 was designed by Jason Ker, a naval architect experienced in designing America’s Cup yachts. The elegant lines of the deck, along with the spacious cockpit, guarantee a pleasant stay aboard. The mighty lines of the hull can provide respectable performances. This yacht is meant to sail with some 240 sq m of sailing surface close hauling, while the 320 sq m big gennaker is meant to support reaching. The interior designed by the AD Boats design team abounds with large surfaces made of wood and shaped in a modern, stylish and elegant manner. The link with nature is emphasized with large windows and hatches which also contribute to the natural illumination of the interior. 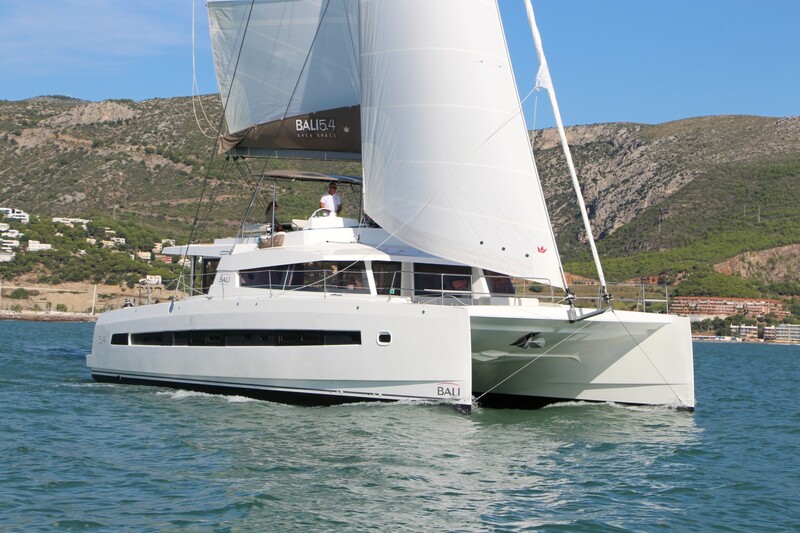 The inner layout of the cabins can be arranged in line with buyers’ requests, but the best news is that Salona 60 has four cabins and three toilets. Since all Salona models are well known for their performance, it is expected that Salona 60 will also become a respectable opponent in regattas. On the other hand, easy sailing without too much trouble is guaranteed because the sailing gear is well distributed on the deck and the jib can be equipped with a self-tacking system. The comfort package includes a 230V generator inside the main engine room, a reverse cycle air-conditioner, an electric hydraulic gangway, a microwave oven, a dishwasher and a washing machine along with a cockpit fridge and a fresh water maker. The fresh water tank can contain as much as 1200 l, while 900 l of diesel could be loaded into the fuel tank. 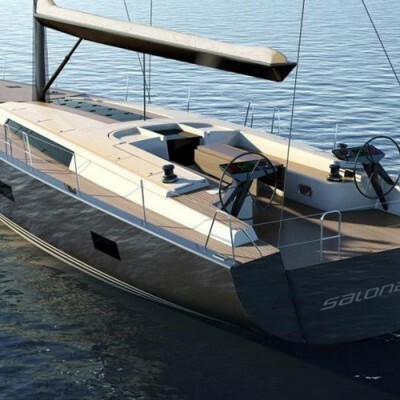 Salona 60 belongs to the category A (ocean sailing) and is powered by a 100 HP engine and a four-bladed propeller. Length overall is 19,2 m, the beam is 5,4 m, and the draft can vary depending on the keel option – it can be 3 m long with a fixed keel, or 3.5-2.7 m with a lifting keel. Displacement is 24000 kg with 7000 kg of ballast. Overall, Salona 60 is a fine yacht from AD Boats which represents a completely new segment of the shipyard’s production. I wish her a shiny future which will most likely come true because the prices of Salona 60 are announced as surprisingly favorable. 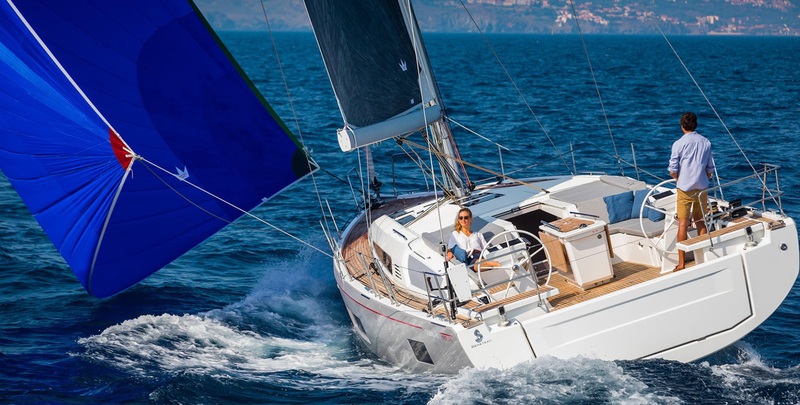 Visit Sailboat Charter Deals and find useful advice on sailboats and sailing in general, as well as recommended sailboats and special offers.